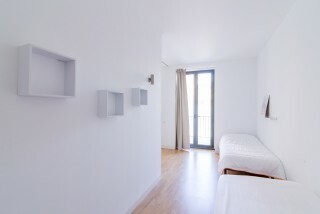 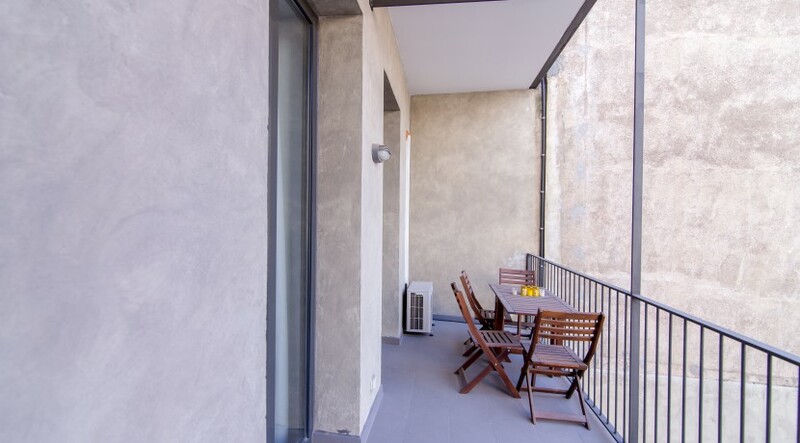 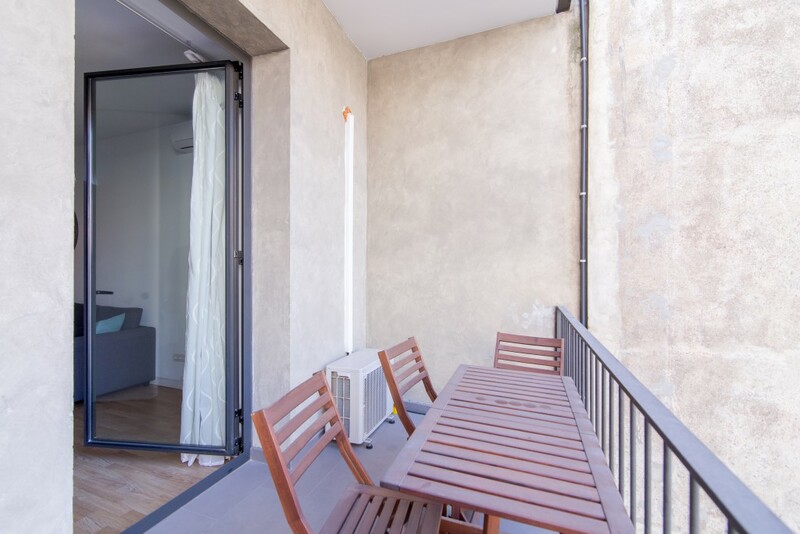 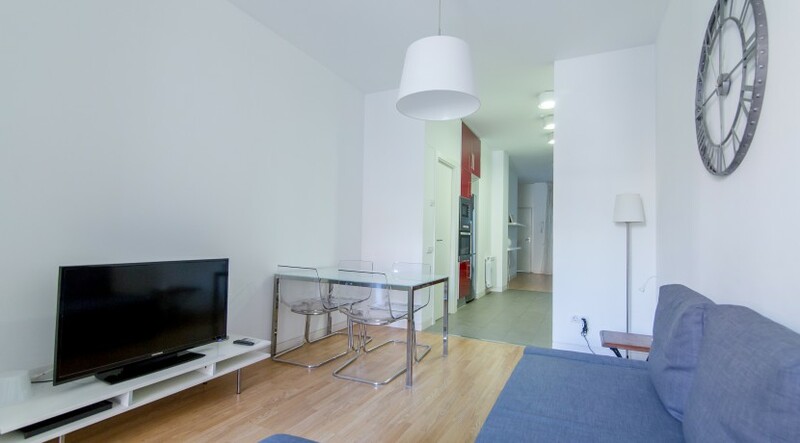 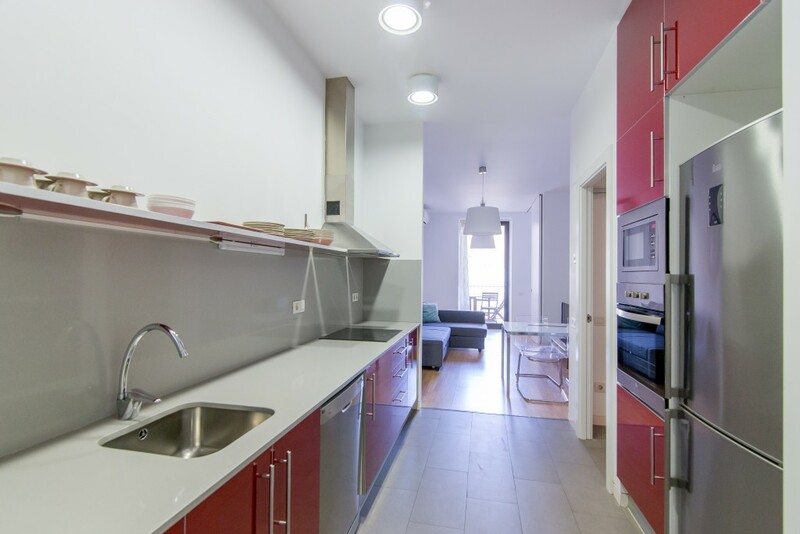 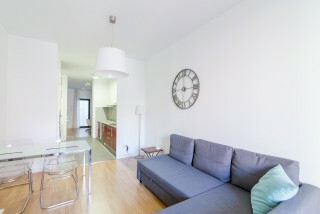 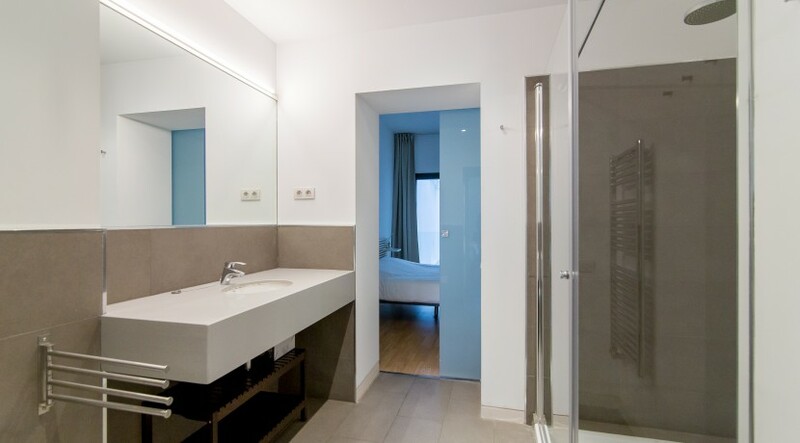 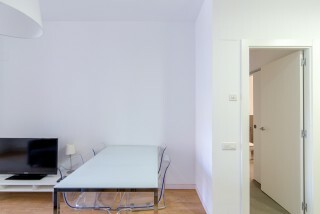 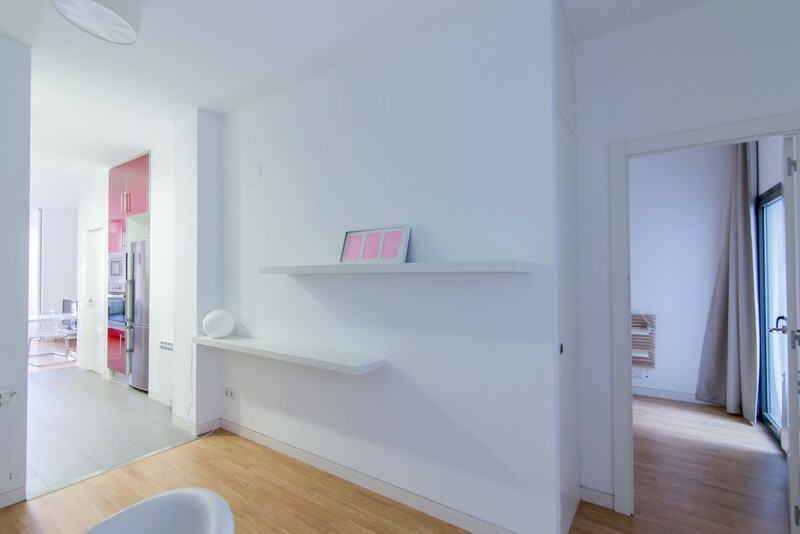 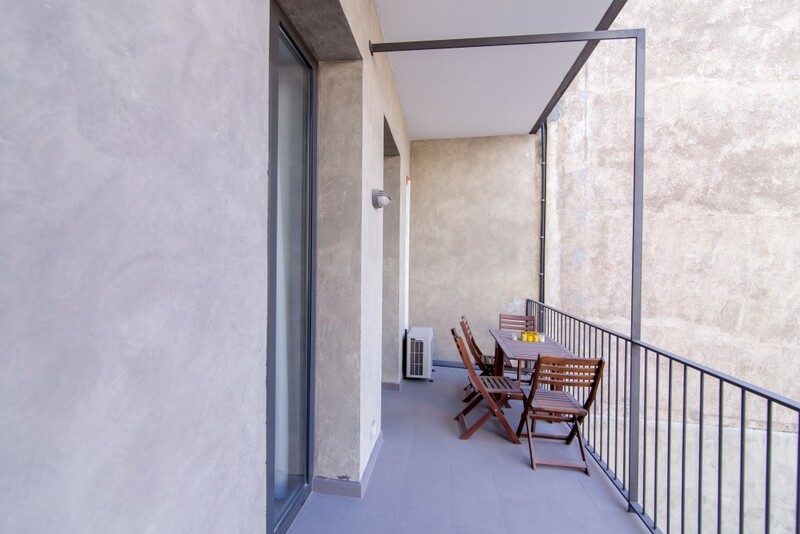 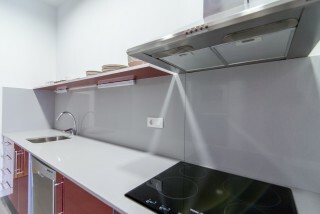 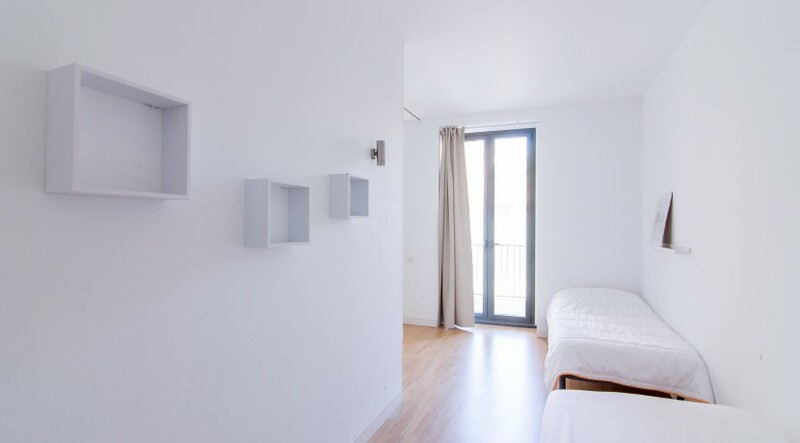 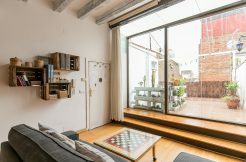 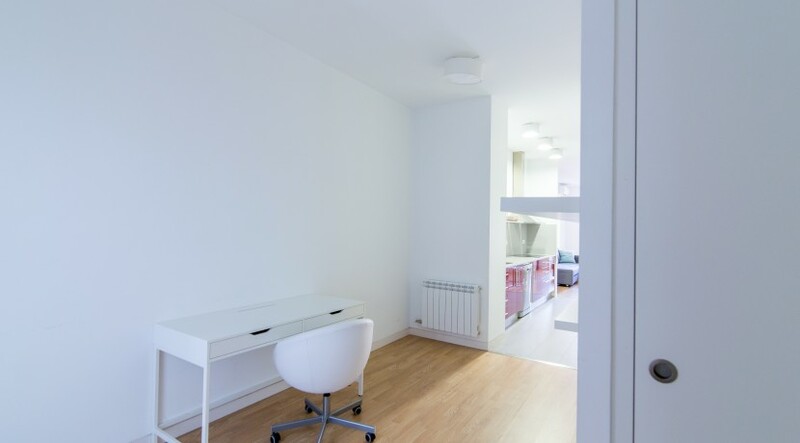 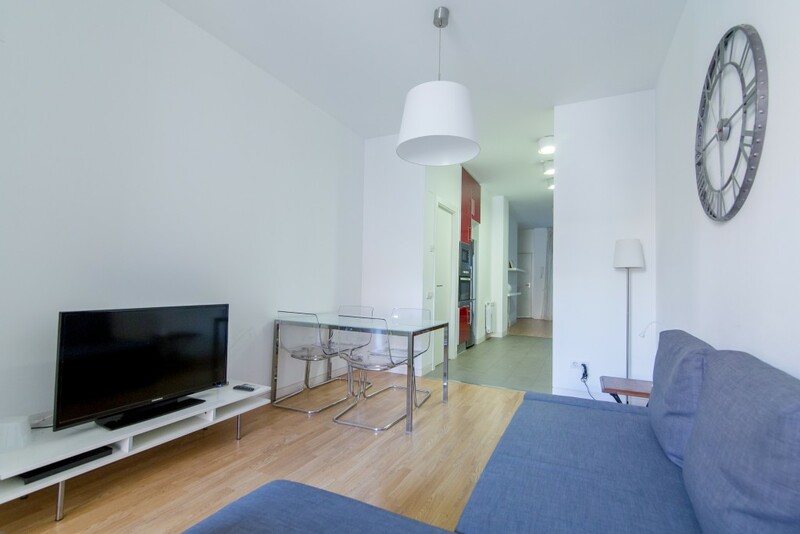 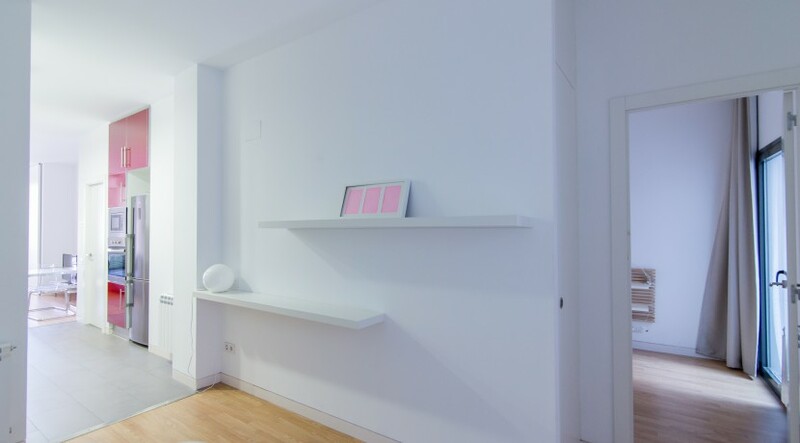 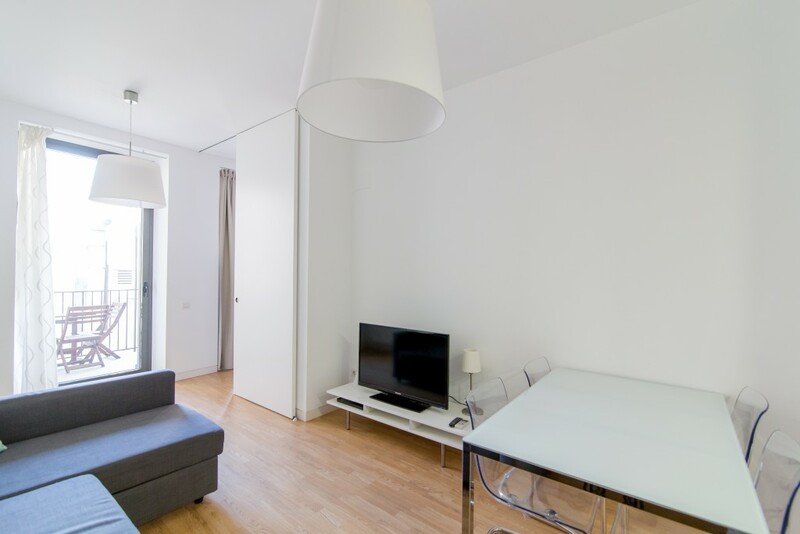 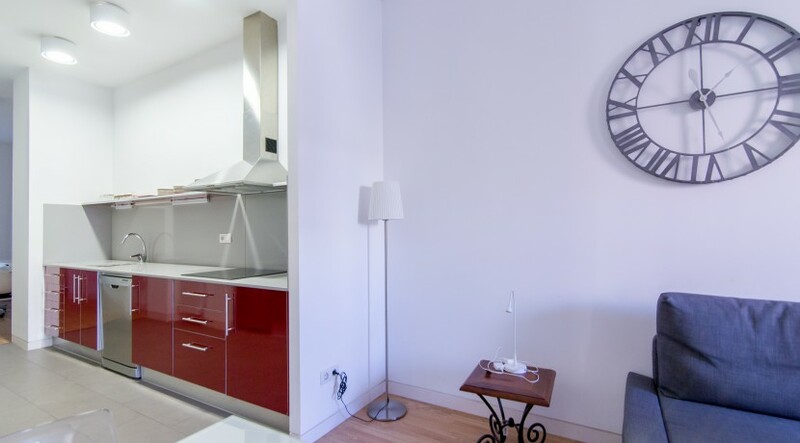 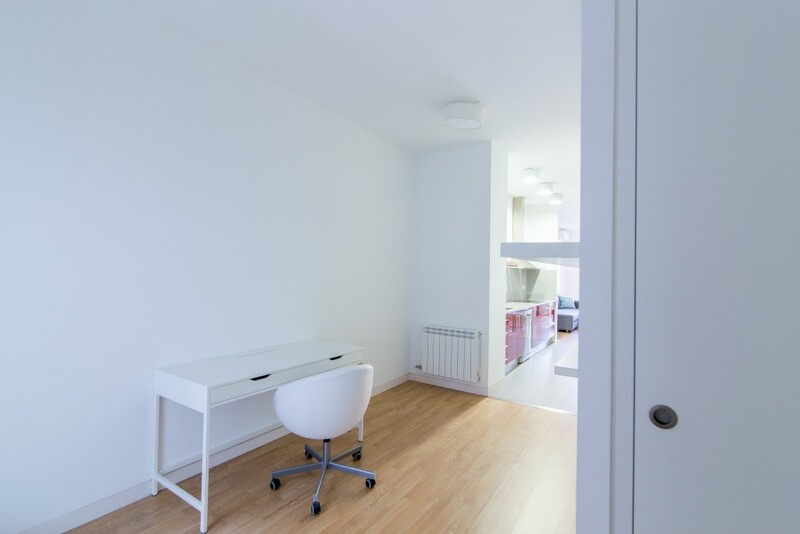 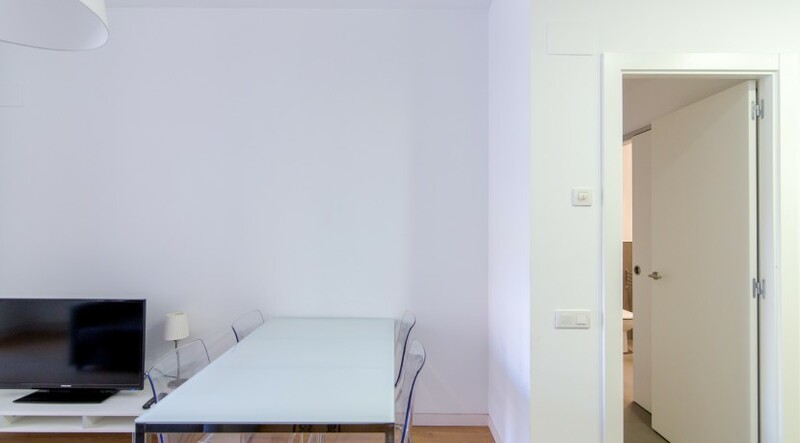 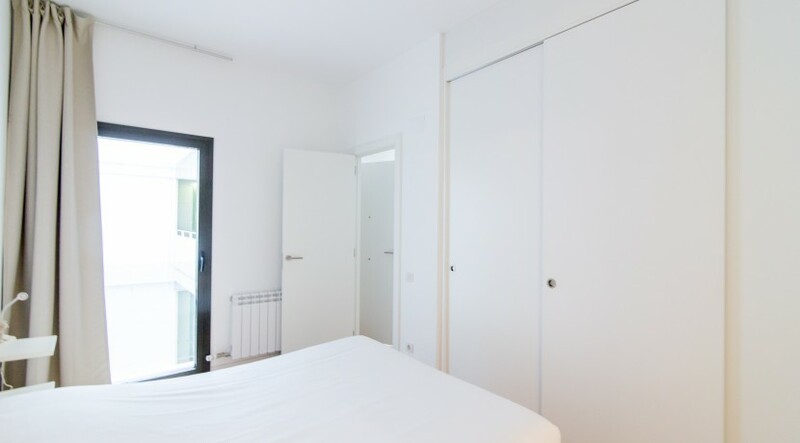 This apartment is located in the heart of Barcelona, in the district of Raval. 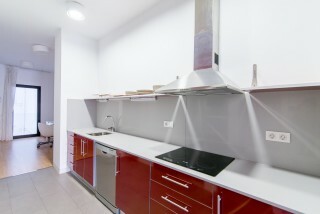 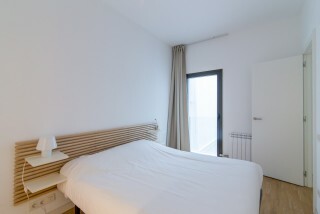 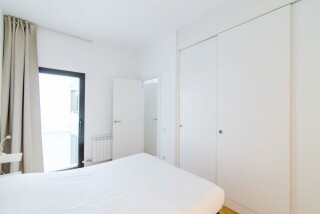 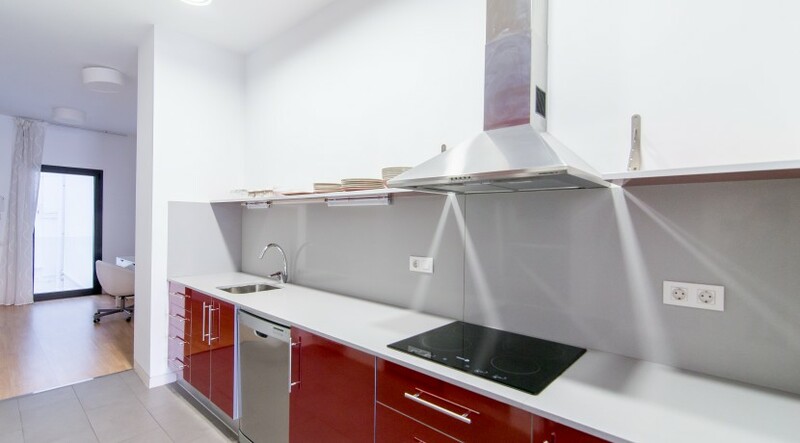 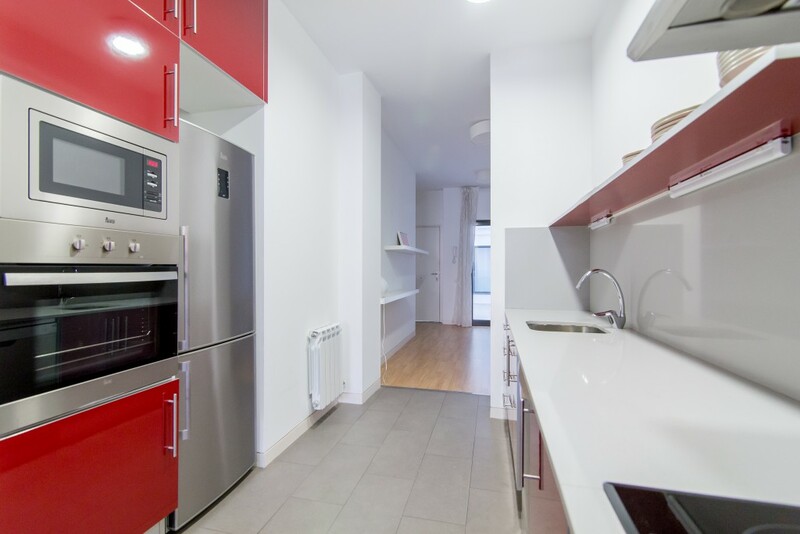 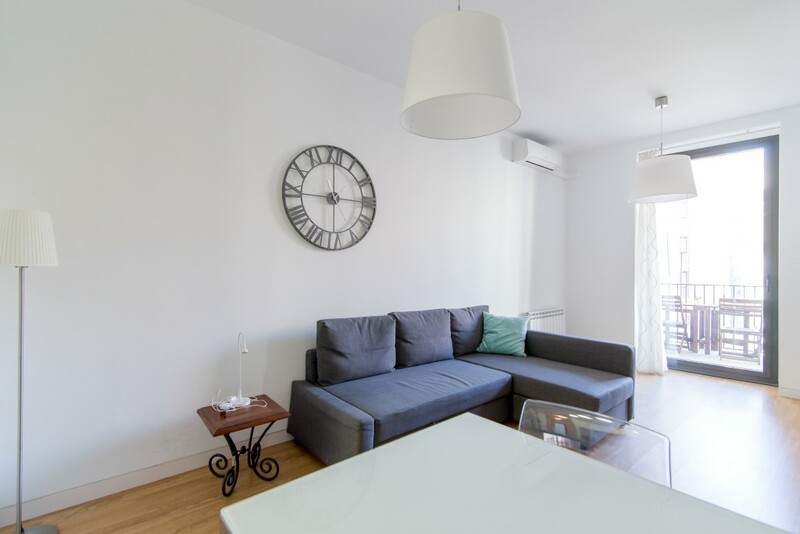 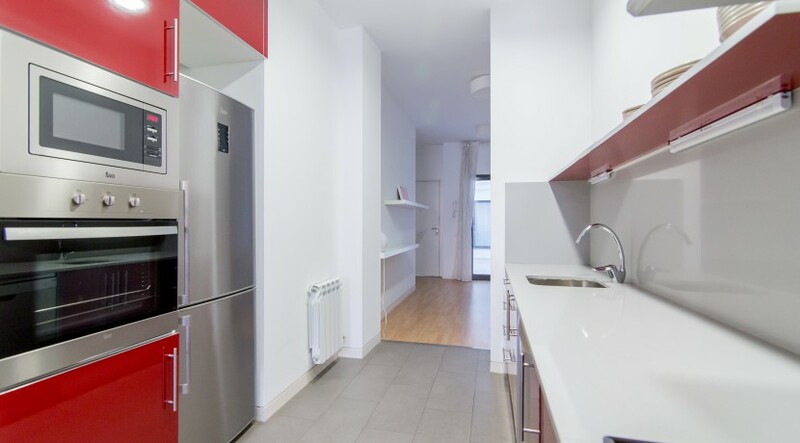 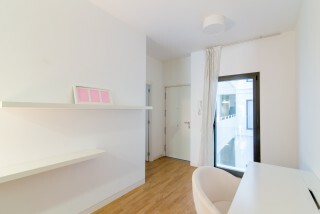 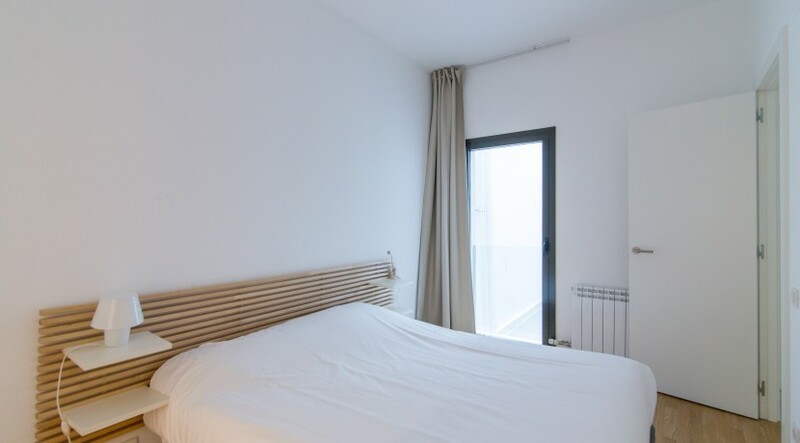 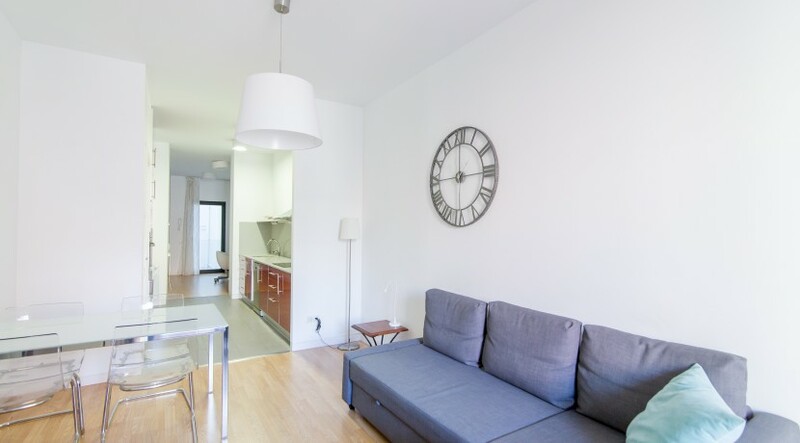 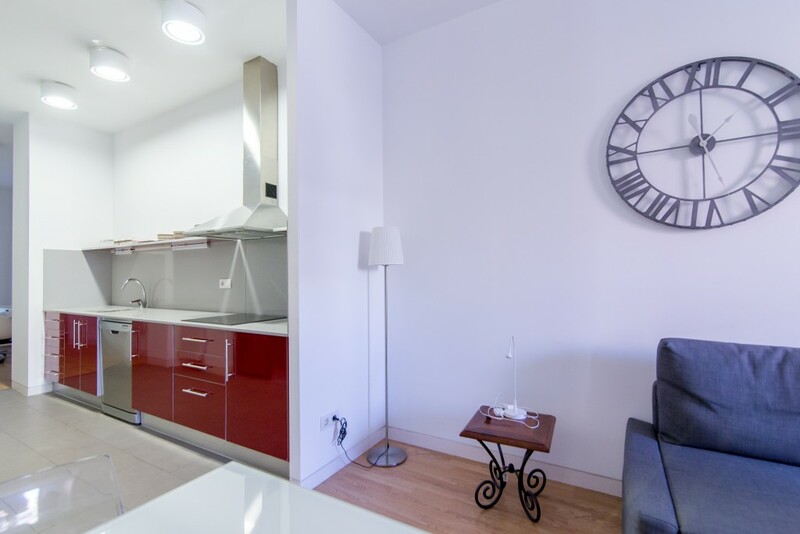 It is close to Las Ramblas and walking distance to Placa Catalunya and the Port. 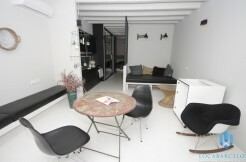 You will also find nice shops and restaurants in the area. 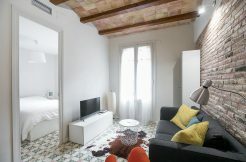 The most famous market of Barcelona, La Boqueria, is only a short distance from the flat. 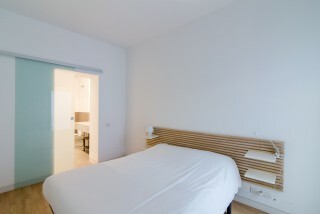 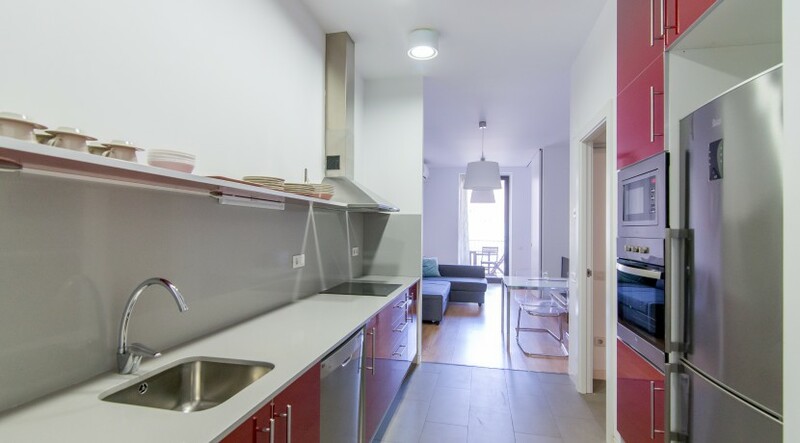 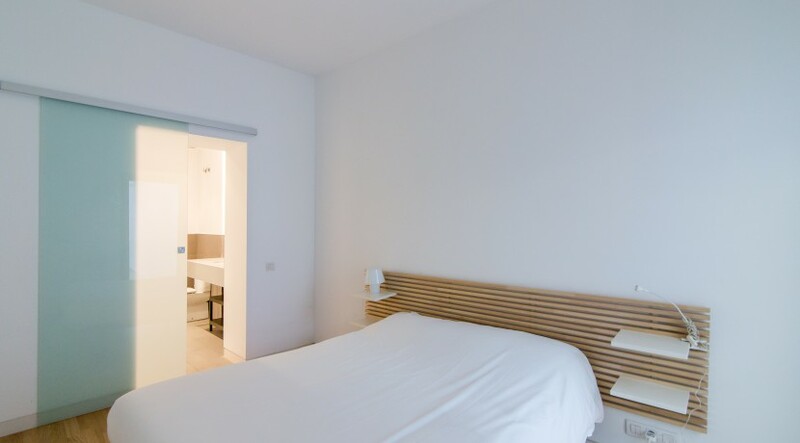 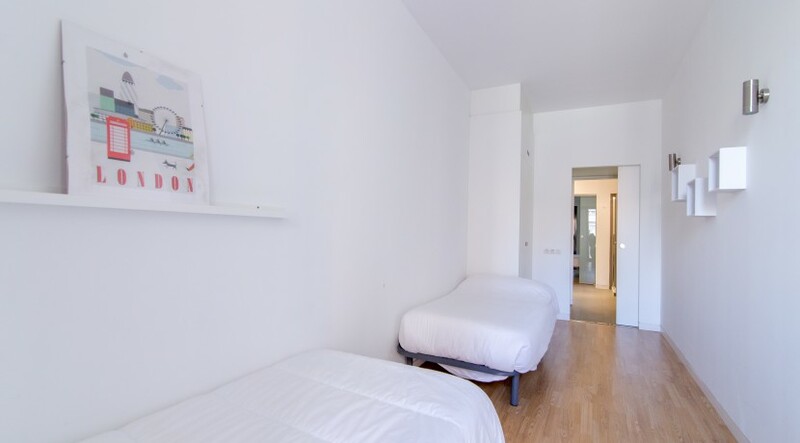 This accommodation is well served; between the Liceu station (L3) and Catalunya station (L1, L3). 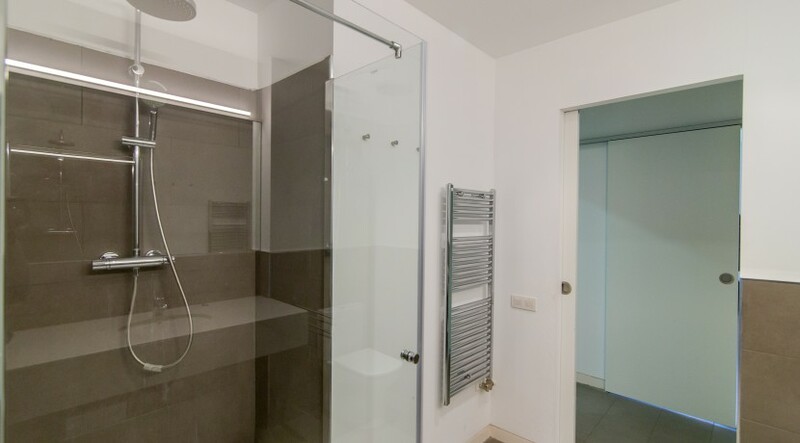 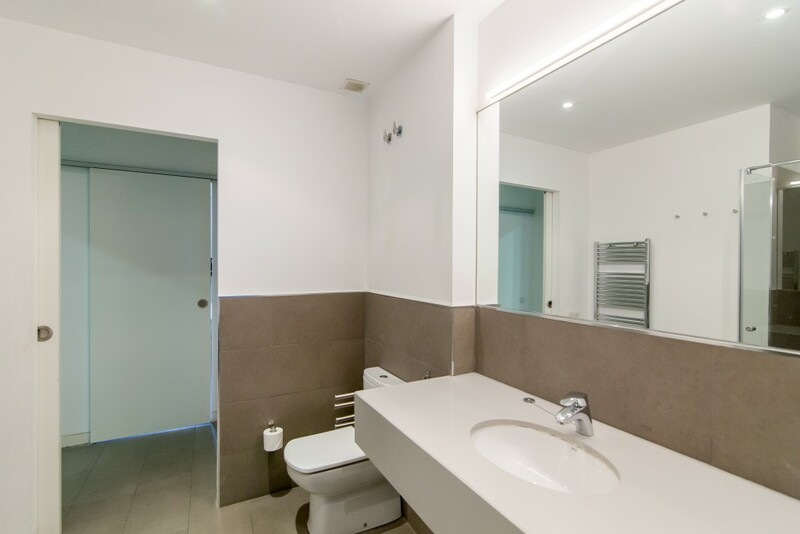 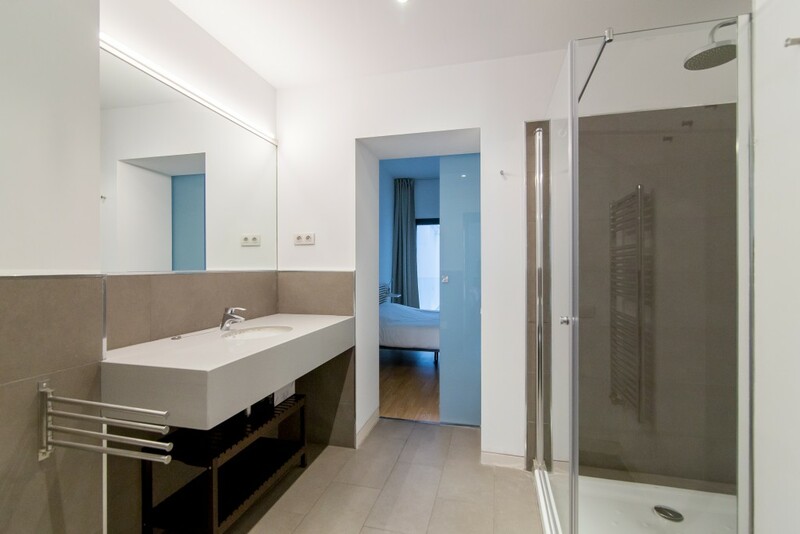 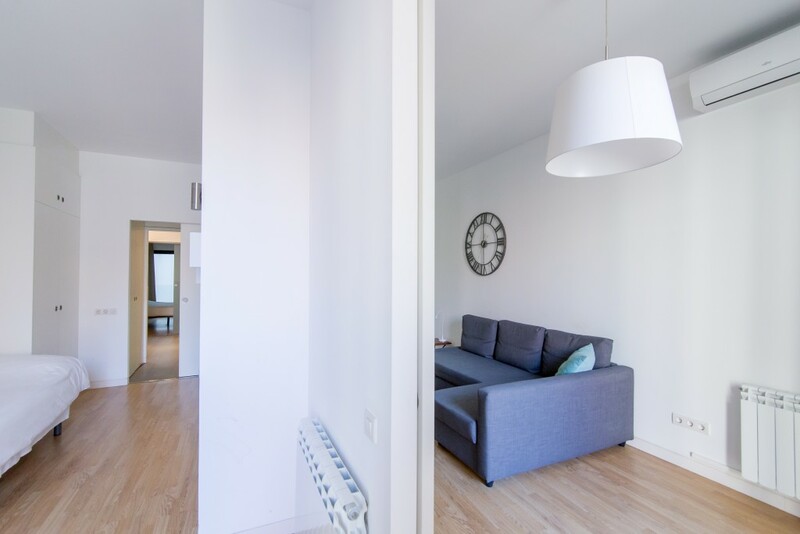 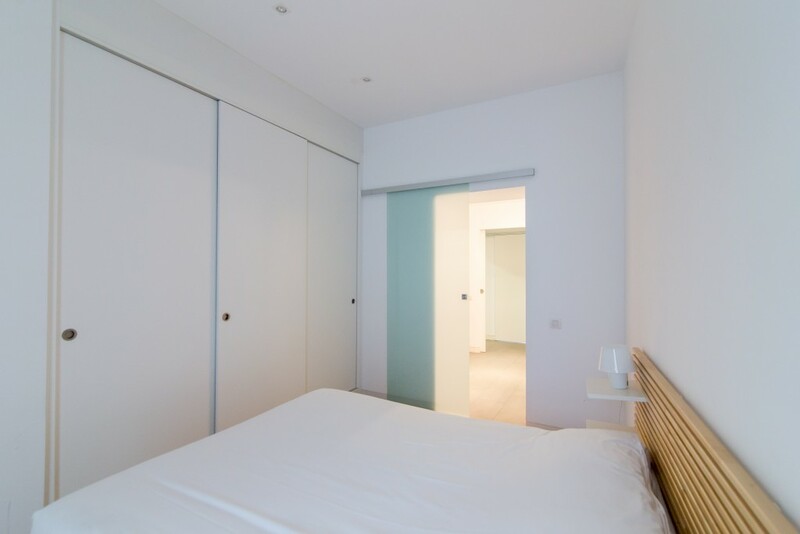 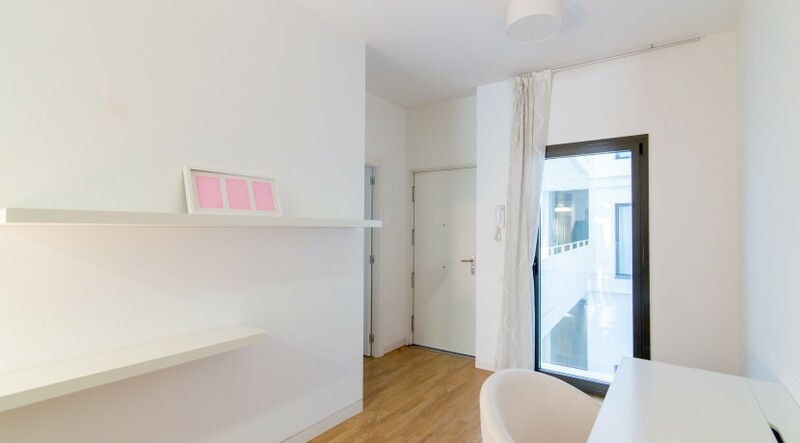 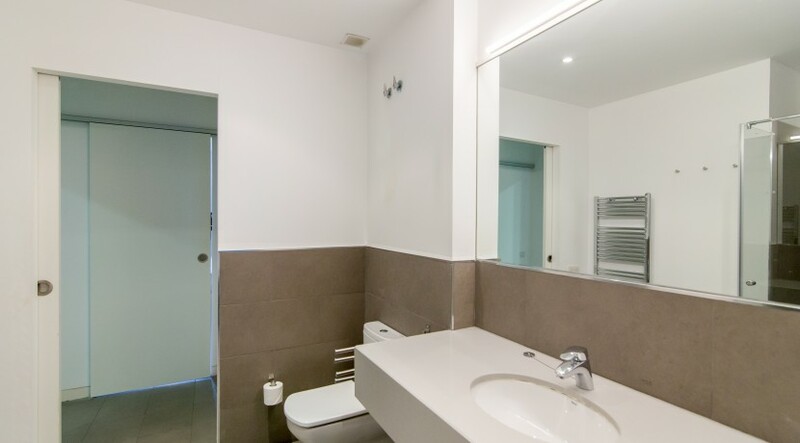 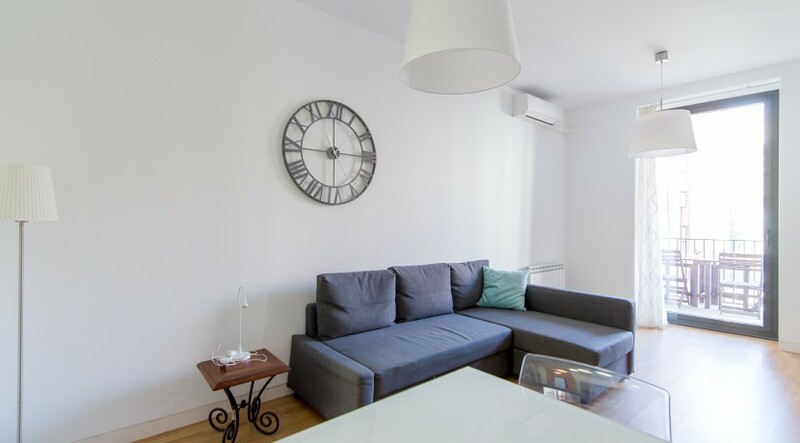 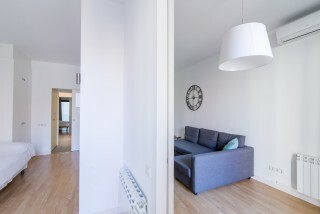 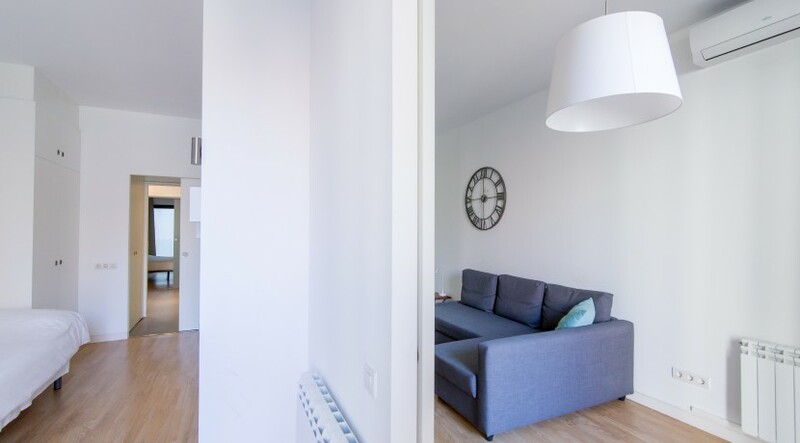 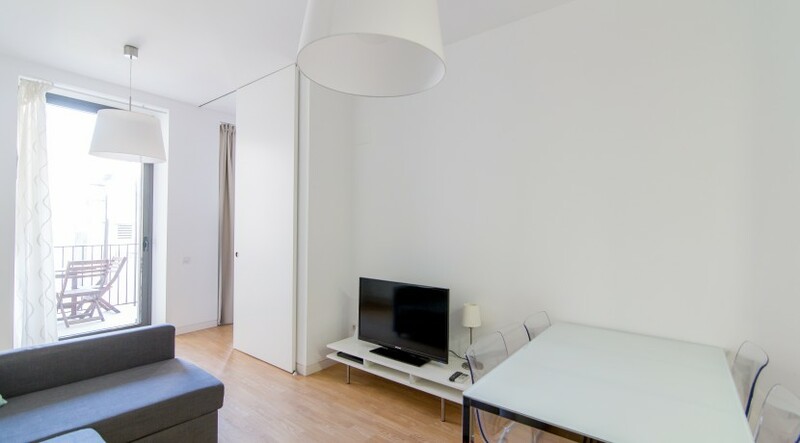 This 60m2 apartment comes fully furnished with two bright double bedrooms. 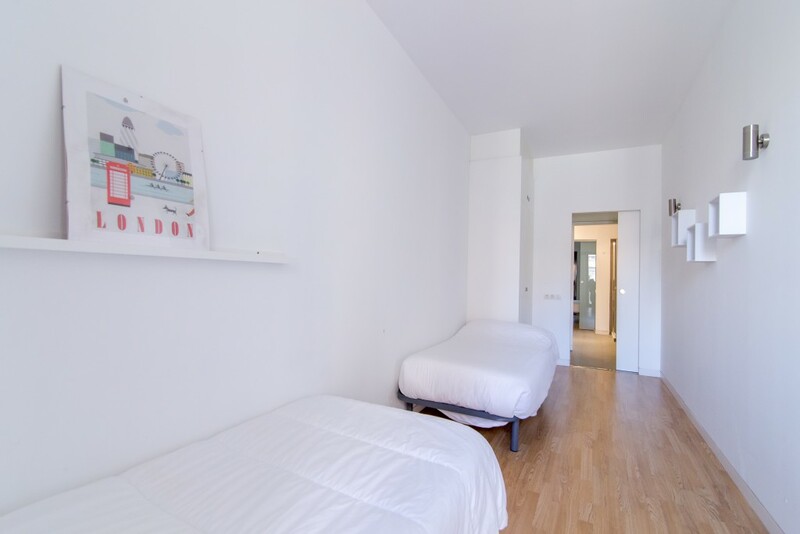 One with a double bed and one with a single bed. 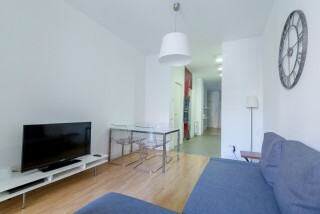 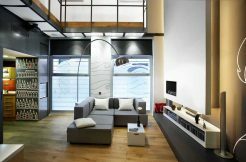 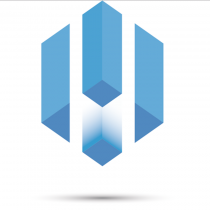 In the comfortable living-room you will find a sofa, a TV, a music system and internet. 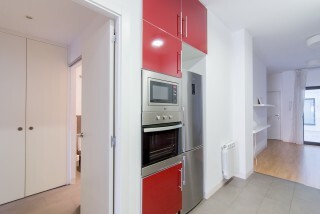 The apartment has heating and air conditioning. From the living-room you will access a terrace. 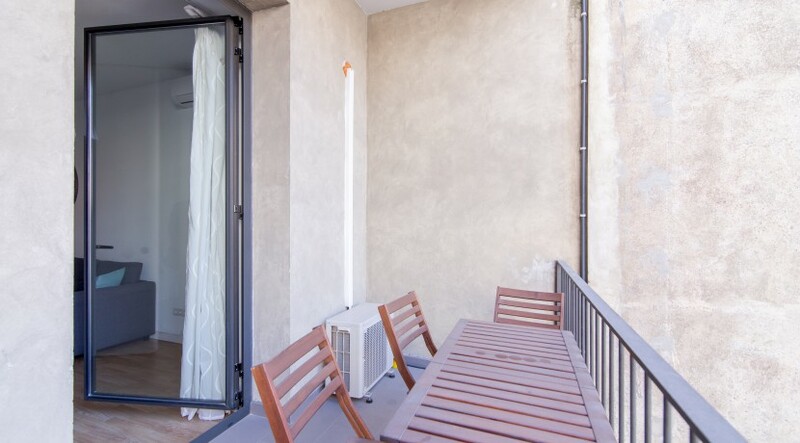 The perfect place for barbecues and relaxing. 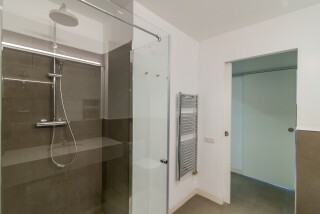 There is an Italian shower in the beautiful bathroom. 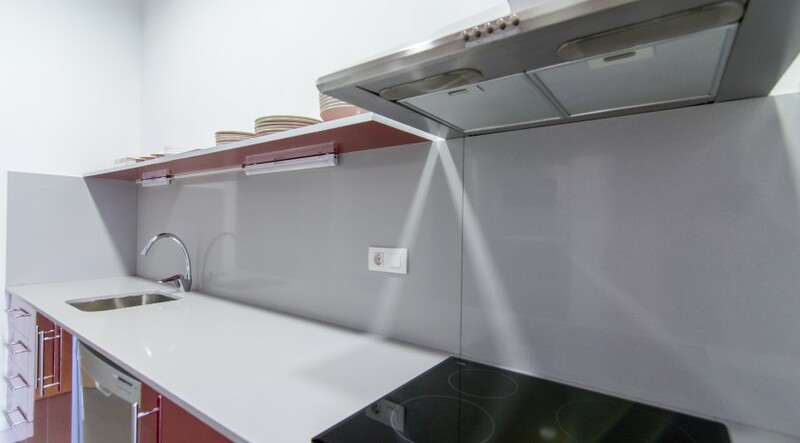 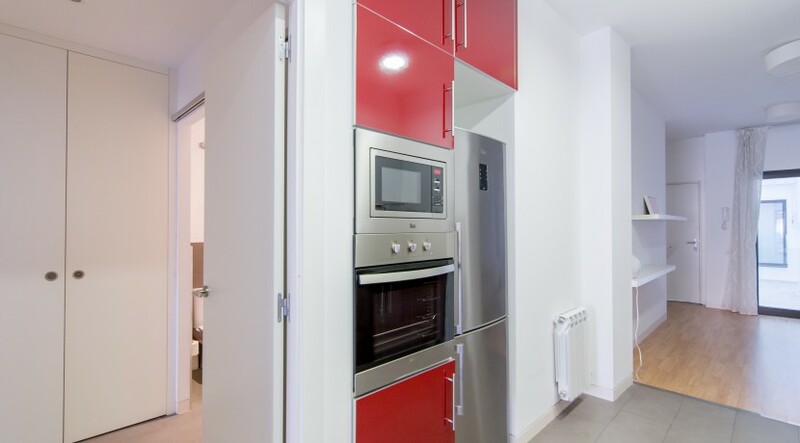 The American kitchen is equipped with a washing machine, dishwasher, fridge, oven, microwave, induction hob and a wide range of cooking utensils.